The Milton will put you in the fast lane to the future of inner city living in Brisbane. 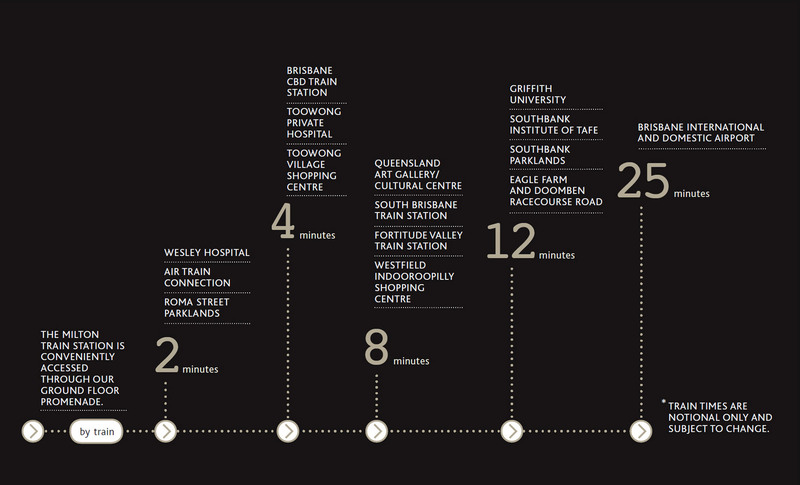 The Queensland Government has identified Transit Oriented Developments – communities developed around major public transport nodes – in its South East Queensland Regional Plan as a way of efficiently managing the growth of Brisbane by creating urban forms that reduce reliance on cars, creating a more sustainable future for our city. 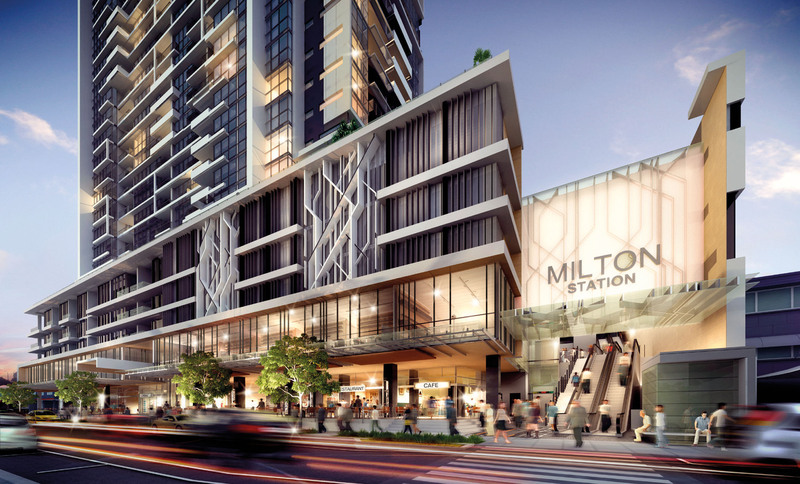 As the first Transit Oriented Development (TOD) in Brisbane under the Queensland Government’s South East Queensland Region Plan 2009-2031 (SEQRP), The Milton Residences are leading the way in sustainable, green design. A key element of the Queensland Government’s SEQRP is the Transit Oriented Development, a planning concept that sees the integration of a rapid, high frequency transport service with residential and commercial real estate, as well as spaces for community use. The implementation of a Transit Oriented Development has been identified as an efficient means of promoting public transport as a means of travel, while reducing dependency on cars. This new Brisbane apartment development incorporates the principles of Transit Oriented Development seamlessly into its design, with direct adjacency to the Milton Railway Station. Milton Railway Station will undergo a multi-million dollar revamp as part of the development of The Milton to promote and encourage residents to embrace rail travel. This will include a new ticketing office, new public amenities, increased visibility across platforms and new and improved access points off Milton Road and Railway Terrace. Encouraging platform circulation of the Milton Railway Station through treatments and accessibility. Why Invest in Brisbane Property? Why Invest in Milton Property? Why Invest in The Milton?